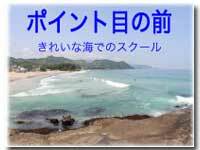 From August 6th～ August 16th, the peak summer season, we will be operating one morning lesson only from 10am～12pm (2 hours) 「basic lesson」. 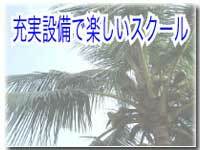 We will not be operating the step up lesson or private lesson during this time. 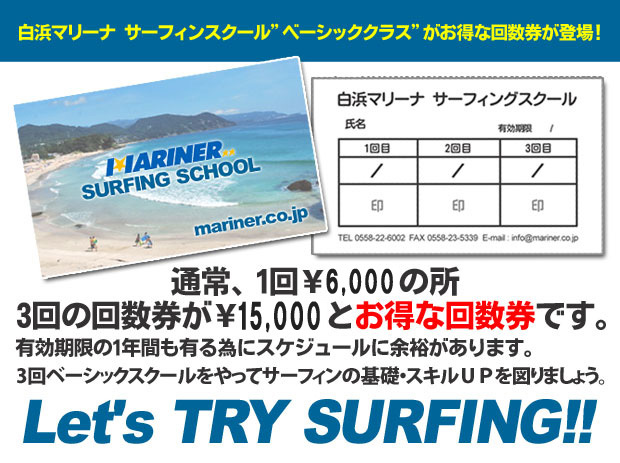 Because Shirahama Marina`s surfing school lessons are taken in groups of small numbers, there may be days where we cannot accept your booking due to all vacancies being taken. (We apologise for this.) Please understand that this is because our aim is to satisfy our customers safely and with enjoyment in the participation of our content-thick lessons. In the case of a change after booking, please contact us as soon as possible as there may be customers awaiting vacancies for booking and so that we can make arrangements with the lecturer/s promptly. In the case of the customer being unable to show up in time for their lesson without having contacted our staff, the booking will be cancelled. 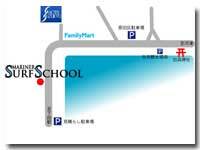 The meeting time for the morning lesson is 10AM (9AM in the peak summer season) and for the afternoon lesson is 1PM. In the case of those wanting to participate in large groups or for those with special requirements, please consult our staff. 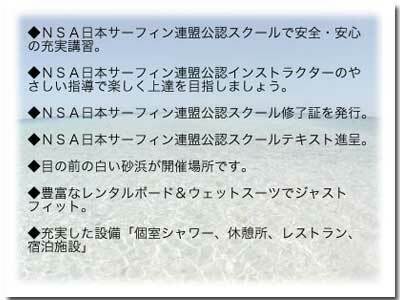 There is no school during the winter season.